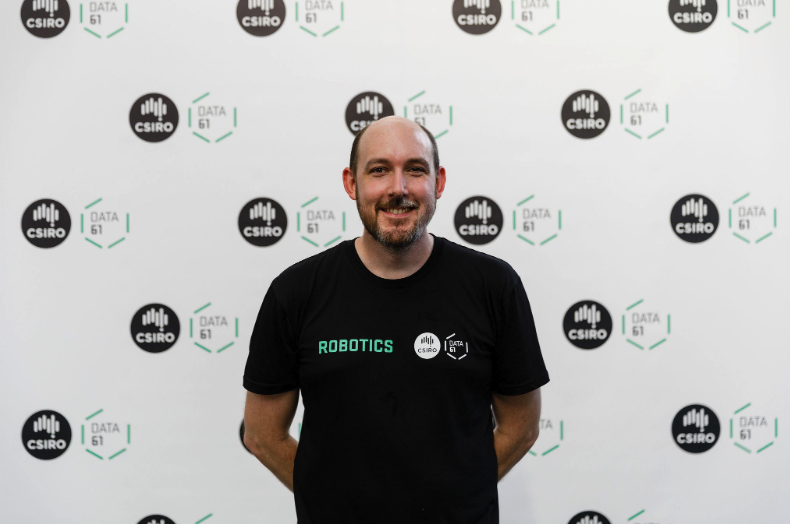 CSIRO’s Data61’s new Robotics Innovation Centre in Queensland has the backing of the Australian government, which sees robotics and automation as a key strength for the country. Minister for Industry, Science and Technology Karen Andrews says robots and autonomous systems are unlocking new value in Australia. In March, CSIRO’s Data61 announced the opening of a new purpose-built research facility for robotics and autonomous systems, which expands on its current infrastructure. Minister for Industry, Science and Technology Karen Andrews told Manufacturers’ Monthly that robots and autonomous systems are unlocking new value and supporting industries such as mining, agriculture and manufacturing to grow the economy and create more jobs. “The development of robotics and automation systems will lead to the creation of new businesses, as well as helping existing businesses to evolve, creating new jobs and growing our economy,” she said. A recent report by AlphaBeta Advisors, The Automation Advantage, noted that automation presented a $2.2 trillion opportunity if Australia manages the journey towards the new economy seamlessly with workers transitioning successfully to new activities. The report indicated that as automation reduces routine and manual work, jobs will become safer, more satisfying and more valuable. According to the report, workplace injuries will fall by 11 per cent as dangerous manual tasks are automated, 62 per cent of low-skilled workers will experience improved satisfaction, and wages for non-automatable work will be 20 per cent higher than for automatable work. Andrews said the Australian government recognises the value of the country’s science, research and technology sectors to achieve greater success in robotics and automation. The federal government has invested more than $4.6 billion for the six financial years from 2013-14 to 2018-19. The 2018-19 Budget funding to CSIRO is $843.7 million, an increase of $40.1 million from the 2017-18 Budget. “Australia has globally recognised and established research strengths in a number of areas, in particular machine learning and robotics. “To maximise the benefits of Industry 4.0 technologies in growing the economy and creating jobs, the liberal national government is supporting stronger industry-research collaboration, a skilled workforce and adoption of advanced technologies and business models by companies,” said Andrews. CSIRO’s Data61 robotics and autonomous systems group leader Fred Pauling said Australia has long championed innovation in the manufacturing and mining sector, using advanced exploration and mining technology, including autonomous trucks, 3D mapping and situational awareness monitoring systems. “Here, a thriving export industry could flourish, with opportunities to develop technology relevant for industries ranging from resources to space exploration. “The Mining sector is quite advanced in the adoption of cyberphysical technology, driven by harsh environments and remote operations, but there are still significant opportunities in the agriculture and manufacturing sectors,” said Pauling. “It is important to understand that Industry 4.0 refers to the creation of new business models, enabled by integrated value chains that are supported by cyberphysical systems infrastructure. “The specific requirements of the Australian Agriculture and Manufacturing sectors, such as small companies and a distributed supply chain, demand low cost, flexible and dependable solutions and this is a research focus for CSIRO’s Robotics Group and other organisations in Australia,” he said. The launch of the Robotics Innovation Centre signals CSIRO’s commitment to providing more robotics research and development infrastructure for Australia. The facility is connected into other national-level robotics initiatives like the Sixth Wave Alliance, and the proposed Advanced Robotics for Manufacturing Hub. The centre will also support CSIRO’s world-class robotics and autonomous systems research to extend our capabilities across legged robots, 3D mapping, unmanned aerial vehicles (UAVs), unmanned ground vehicles (UGVs), industrial safety, IoT, and more. “By expanding our research facilities, we have enhanced our capabilities to develop highly autonomous robotics systems that can interact safely with humans, in even the most challenging environments on earth,” said Pauling. “The Robotics Innovation Centre will facilitate unprecedented collaboration across sectors to develop the latest innovations ready to transform industries, and ultimately help boost our economy. “A major goal of the centre is to connect SME’s, research and development organisations and operators in order to accelerate the translation of R&D to impact,” said Pauling. The Robotics Innovation Centre is an expansion of Data61’s robotics research infrastructure at its Pullenvale, Queensland site and is the base for some of Australia’s leading robotics research. “Collaboration between industry, government and academia is critical to develop world-class robotics and autonomous systems research and development,” said Pauling.